After a year and a half of radio silence, a contentious plan to transform the northwest entrance of Brooklyn’s Fort Greene Park is back in the spotlight. Friends of Fort Greene Park, a collection of neighborhood residents and preservationists, and the Sierra Club have brought a lawsuit against the N.Y.C. Parks Department in the New York State Supreme Court over plans to modernize the park and remove a rare landscape intervention from Arthur Edwin (A.E.) 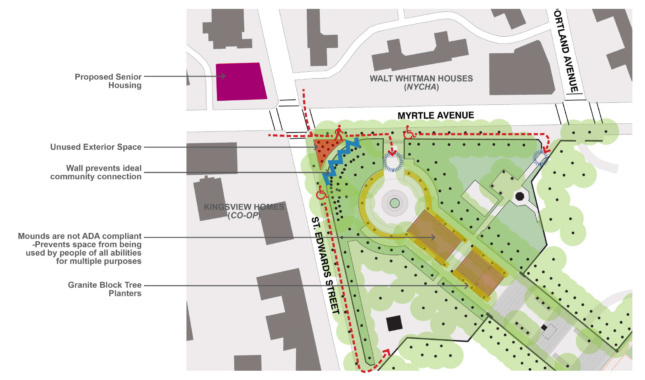 Bye, Jr. Jump back to 2017, when the proposal to build a new grand entrance at the northwestern corner of the park first came before the Landmarks Preservation Commission (LPC). The 30-acre Fort Greene Park was Brooklyn’s first and originally grew out of the military fort from which the neighborhood took its name. The city brought Frederick Law Olmsted and Calvert Vaux on in 1868 to turn the green space into an official park, and the duo cut tight, winding pathways that offered wide views of the planted landscape, similar to their work in Prospect Park and Central Park decades later. The park has been updated three times since then, but the basic layouts and deference to the Olmsted and Vaux plan have remained consistent throughout. In the early 1900s, McKim, Mead & White cut across the meadow in the park’s northwest corner to improve access to the Prison Ship Martyrs’ Monument, a 150-foot-tall column dedicated to the over-11,500 American prisoners who died on British ships during the Revolutionary War. The monument is reached by climbing a 100-foot-wide granite staircase cut into the side of a hill. In 1971, landscape architect A.E. Bye was commissioned to accentuate the path from the park’s entrance to the sweeping monument steps using cobblestones and native plants. Bye, who rarely took on public projects, proposed a series of subtle, multipurpose brutalist mounds reminiscent of graves—a reference to the prisoners interred in the crypts below the monument. Bye worked largely through sculpture and drawings to realize his designs, and a pre-Diller Scofidio + Renfro-era Ricardo Scofidio was enlisted to help create a drawing set that the city could build from. A $10.5 million renovation and a “grand new entrance” to the park would scrap that. The improvements are part of the Parks Department’s Parks Without Borders initiative, which seeks to break down barriers between city parks and the street to create a more inviting landscape. The new scheme would move the park’s entrance to the corner and create a direct route to the monument through the existing circular garden…and Bye’s mounds. Those would be leveled to create a tree-lined “boulevard,” while 58 trees would be removed. The Parks Department claims that the mounds impede ADA accessibility, although the new flattened concrete plaza would terminate at the steps of the monument. Those changes were unanimously approved by the LPC in November of 2017. Then, on April 1 of this year, Friends of Fort Greene Park, the Sierra Club, and Michael Gruen, president of The City Club of New York and the attorney for Friends, filed a petition (here) with the State Supreme Court over the decision. The Parks Department claims that of the 52 mature trees it would be removing, 38 are for design purposes and 14 are in failing health. Twenty-eight of those trees are Norway maple, a species that the department classifies as an invasive species with a typical lifespan of 60 years in City parks, and many are at least 50 years old at the time of writing. Additionally, another 31 trees would be removed for a drainage project near the park—13 for design reasons and 18 for their condition. The department states that in keeping with their tree restitution plan, 80 trees would be planted in and around Fort Greene Park. Additionally, the department states that these improvements, as well as adding a basketball court and expanding the barbecue area, were all researched with input from elected officials, the community board, and the surrounding neighborhood. Friends of Fort Greene Park disagrees with that assessment, claiming that the department was able to avoid conducting a full environmental review. When the group had previously filed a Freedom of Information Act request over the environmental impact statement, it received a heavily redacted version. Over one-quarter of the 150-page report was blacked out. 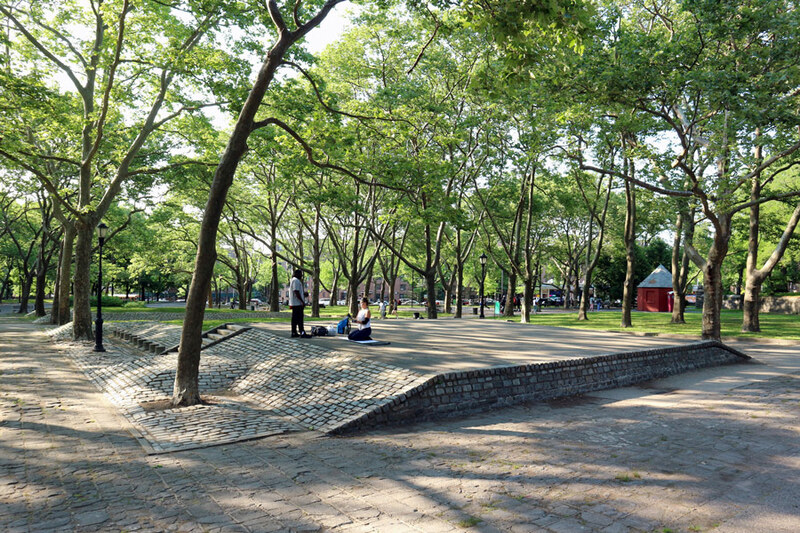 “Despite community outcry, the Parks Department is proceeding with plans to cut 58 park trees, and to bulldoze popular landscape features in the historic park,” reads a statement from Friends of Fort Greene Park. “Neighbors had no alternative but to sue the Parks Department, to compel the city to do the required environmental review assessing the impact of the proposed project. Neighbors had earlier brought a successful court action against Parks to release secret documents about the decision to remove mature park trees. “Despite a court order, Parks has refused to fully comply with the release of documents. Neighbors believe that documents will reveal that Parks had misled city officials about the health of the park trees, creating a false impression that the trees were in poor health when the opposite is true. Fort Greene neighbors commissioned an independent arborist's report that proved the trees were in excellent health. “In addition to removing scores of trees, the Parks Department plan would also demolish a picnic area and rolling landscape mounds that are popular with neighborhood families. In what neighbors see as a scandalous act of social engineering, the Parks plan would relocate the leafy picnic grounds to a new, and more exposed site across the street from an existing NYCHA building, and away from the planned luxury high-rise.” While the lawsuit is still pending (the first filed at the state level to protect a brutalist structure), Friends has pledged that it will continue to raise awareness of the issue. When reached for a statement, the Parks Department wrote that it doesn't comment on pending litigation. AN will follow this story closely as it develops. The perennially endangered Hôtel du Lac in Tunis, the Tunisian capital, is safe after rumors of its impending demolition swirled online. 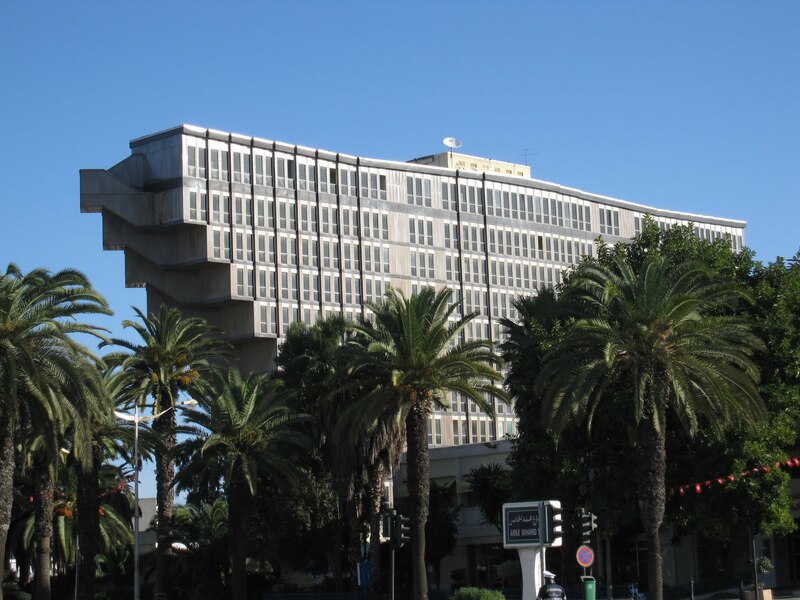 Often compared to an inverted pyramid or a sandcrawler from Star Wars (it’s rumored that the hotel was the inspiration for the giant desert trawler—Episode IV was filmed in Tunisia), the brutalist hotel’s “wings” have made it a stalwart part of Tunis’s skyline. Completed in 1973 by Italian architect Raffaele Contigiani, the top-heavy concrete hotel is one of the city’s oldest. The 10-story, 416-room tower sprouts dramatic cantilevers on both sides as it rises, ending in a top floor twice as wide as the base. The growing effect is magnified by hanging staircases reminiscent of exhaust pipes at either side of the hotel, which serve as the building’s main circulation paths. Brutalism left a lasting legacy in the Middle East and North Africa throughout the second half of the twentieth century, and the hotel’s unconventional form and use of exposed concrete and steel set it apart from anything else in Tunis. Hôtel du Lac has, however, sat empty since 2000. After the building was purchased by the Libyan Arab Foreign Investment Company (LAFICO) in 2013, the company has expressed its desire to tear down Hôtel du Lac and replace it with a modern luxury hotel tower. Fears of the building’s destruction roiled over last month when architect and preservationist Sami Aloulou stated that the building was slated for demolition. The news quickly spread across Brutalism sub-Reddits and Instagram accounts, leading to a petition asking that the Mayor of Tunis reject the demolition permit. Several alternative uses for the building, including turning it into an innovation center, have been floated. Ultimately, the city issued a statement on February 19 denying the rumors, stating that they had not received a request to tear the hotel down. While the historic building is safe for now, LAFICO has not publicly changed its plans to replace the hotel with a modern equivalent. For Belgian coworking start-up Fosbury & Sons, repurposing underused office blocks has become a calling card. Rapidly expanding with new outposts throughout Belgium and the rest of Europe, the young company has strategically chosen historic buildings, designed by relatively unknown modernist architects, to fit out its unique brand of shared workspaces. Fosbury & Sons aims to do away with the old office model and instead offer a much-needed alternative for today’s mobile professional. “We spend half of our lives working in uniform environments that haven’t fundamentally changed in fifty years,” explains Fosbury & Sons cofounder Stijn Geeraets. “Most offices are undervalued when it comes to design and the consideration of experience. But workers are starting to reject this uninspiring sea of sameness.” The challenge of creating new models of working environments within old office towers is not lost on Geeraets and his partners. “We like the idea of using old buildings that have almost completely lost their soul. We’re infusing them with new life and activity that is more sustainable in the long run,” he explains. While Fosbury & Sons’ first office—in Antwerp, Belgium—occupies Léon Stynen’s 1958 WATT-tower, its second location, in Brussels, takes over a whopping 23,000 square feet of a former concrete company headquarters: a distinctly Brutalist tower designed by Constantin Brodzki in 1970. Set along the city’s green periphery, the monolithic building strikes a memorable pose with its peculiar facade, composed of 756 prefabricated oval concrete modules. The convex windows they contain create a three-dimensional texture. Fosbury & Sons tapped local studio Going East to design the layout and interior of both the Antwerp and Brussels complexes. Inside the latter building, the studio worked with the preexisting structure, sculptural shell, and notable architectural details to reorganize the massive space. Its choice of earth tones extends the building’s late modernist aesthetic. Hay, Vitra, Norr11, and classic Danish Modern furniture were also used to drive the overall concept home. Spread across seven floors, a series of “Suite” and “Atelier” private offices, breakout lounges, and meeting spaces can accommodate 600 members. An integrated daycare center makes it possible for them to interact with their children throughout the day. While the Coffeelabs restaurant and lobby bar on the lower floors are best suited for impromptu meetings, Bar Giorgio on the top floor offers sweeping views of the nearby Sonian Forest and provides a space to unwind at the end of the day. Fifteen meeting rooms and a large auditorium are also available for temporary use. Combining amenities from home and hotel, the holistic vision for this project culminates with a rotating art collection. 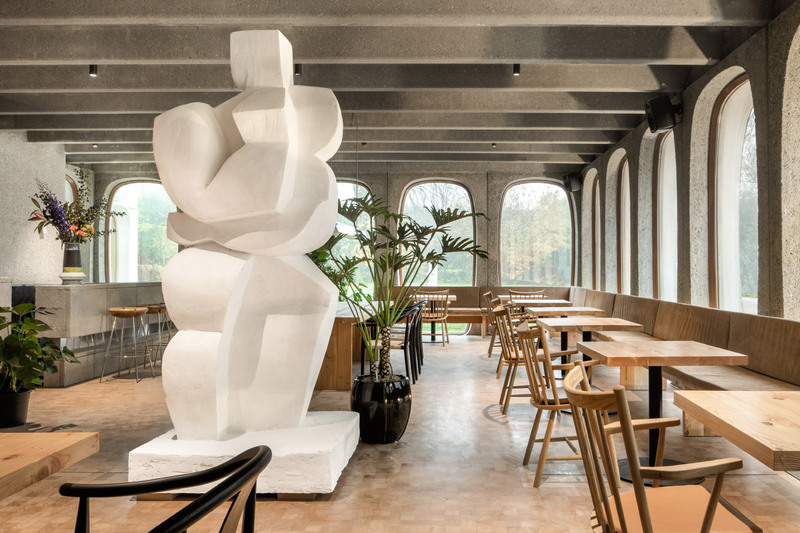 Top Belgian gallerists like Rodolphe Janssen and Veerle Verbakel have been charged with selecting art and limited-edition design pieces that are exhibited throughout the building. 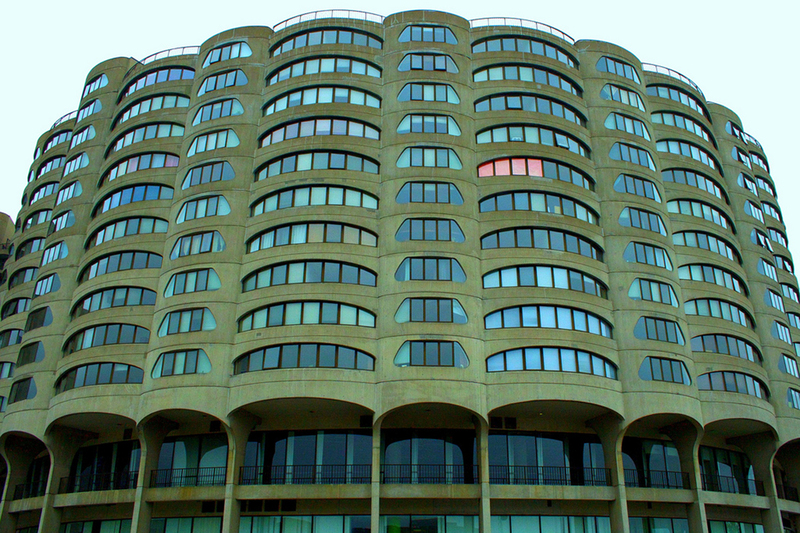 Preservationists are up in arms over a paint job made by the new owners of Bertrand Goldberg’s brutalist River City condominium in Chicago. Crews are currently brightening the exposed concrete walls that line the building’s soaring atrium to a stark shade of white. According to Crain’s Chicago Business, some consider it an act of vandalism. Built in 1986, the iconic mixed-use building features a serpentine design and a lightly undulating facade full of arcing windows. Its 10-story atrium is lit by thinly ribbed glass openings on the roof. The structure is situated in the city’s South Loop neighborhood and hovers over the Chicago River on a series of plinths, making it accessible by boat. Though it's not a landmarked building, it's a staple of Goldberg’s Chicago architecture and impressive to many. Its textured grey tones are enhanced by daylight, but its new owners want to create an even more modern feel to attract residents, hence the new white color. Last month, the property was co-purchased by its new ownership, a group of real estate investors, for $90.5 million. The sale marked the largest condominium deconversion in Chicago history, According to The Real Deal, it took two years of negotiations to sort out the deal so that the owners could transform the 449-unit complex into a fully renovated rental apartment building. Painting the atrium is step one towards that goal. Well-known local critic Lee Bey told Crain’s the decision is “a shame,” and that the building’s expression is best understood within its curved walls. “It really is a significant change to a space that Goldberg thought out very carefully,” he said. “He brings this curvilinear ‘street’ inside the building, with the sun coming in from above. He thought of it as a street in Paris.” Under its new ownership, River City is set to receive an updated lobby, a new fitness center, co-working spaces, and communal areas. The existing 250,000 square feet of office and retail space will also be upgraded. 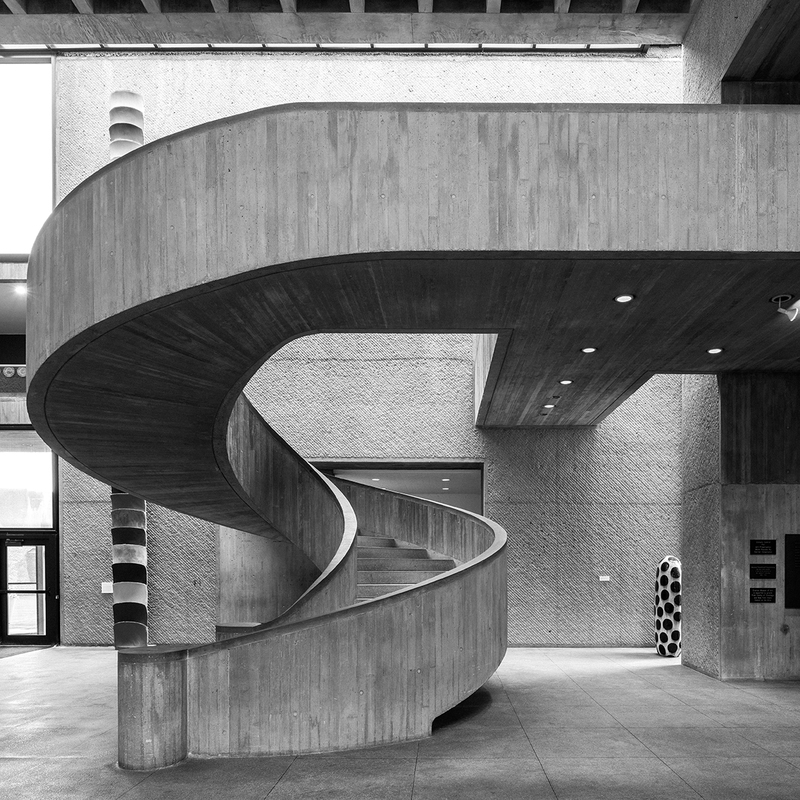 For decades, Boston’s brutalist City Hall has been a heated point of debate among locals. Is it beautiful or is it ugly? Does it spark city pride or is it a dark spot among Boston’s vast array of historic architecture? Though widely praised when built in 1968, the now notorious, nine-story, 515,000-square-foot structure sits like an underutilized behemoth at the core of the downtown Government Center district. Many Bostonians are tired of it. Its commanding facade and dysfunctional interior layout are neither conducive to daily inspiration nor workplace productivity, some complain. But others see it as an enduring symbol of the early brutalist movement—an icon. Regardless of its aesthetics, the building’s biggest issues can no longer be ignored. Leading up to Boston City Hall’s official 50th anniversary this year, the Mayor’s Office of Arts and Culture has instigated small changes and proposed other sweeping updates to the building, originally designed by Kallmann, McKinnell, and Knowles, that could potentially bring it into the 21st-century era of civic and office architecture. In a comprehensive report conducted through the city’s Public Facilities Department, a multi-pronged planning process to introduce both design and operational improvements to the structure has already begun. The big ideas are outlined in the Boston City Hall and Plaza Study, completed in 2017 in collaboration with Boston-based Utile Architecture + Planning and Reed Hilderbrand Landscape Architects. It makes the case for a top-to-bottom reorganization of the administrative and public service needs of City Hall and its 7-acre plaza through improved design. 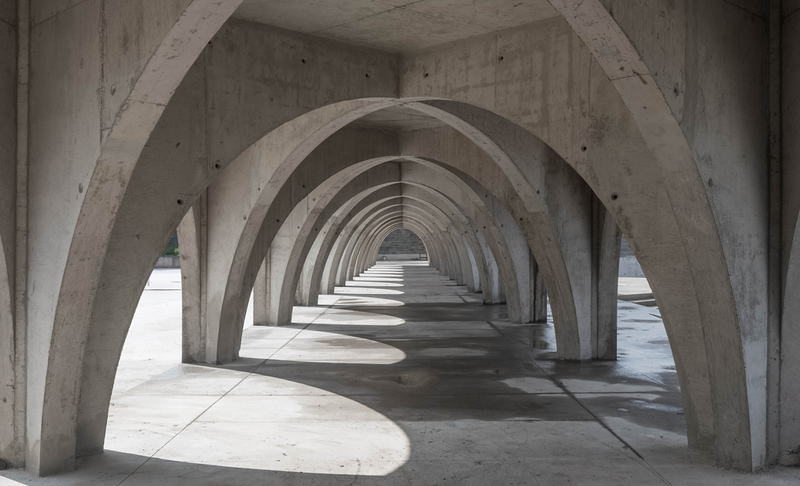 In order to engage both employees and civilians, the dark, precast concrete building needs to both open up to the community and provide more space for work. Circulation patterns need to be updated, wayfinding needs to be implemented, building systems and infrastructure should be upgraded, and accessibility should be top of mind, according to the report. In recent years, various government departments have moved out of City Hall due to spatial constraints. Utile aims to restructure the upper floors of the building and introduce shared spaces that can be used by different teams. Large-scale meeting rooms and public spaces will remain on the lower floors while the lobby will serve as a welcoming, secure, and light-filled entry for visitors and employees. Along with interior improvements, the project scope includes repairing the sprawling, brick plaza that surrounds City Hall and introducing a stormwater management system to the landscape. It will also feature new seating and infrastructure, as well as larger programming areas for sports celebrations and concerts, to make the plaza the next great civic hub for the city. Minor changes to the facilities, including a handful of pilot projects like the new exterior lighting system as well as the Boston Winter Market, started in 2016. Urgent repairs will continue over the next four years and major renovation work on the interior is expected to begin in 2020. I.M. Pei, legendary designer of cultural and institutional architecture, designed his first-ever museum in downtown Syracuse, New York. Constructed in 1968, the 60,000-square-foot Everson Museum of Art was a brutalist building that broke the mold on traditional museum design. The geometric structure was made out of poured-in-place concrete and local granite, featuring four cantilevered galleries and a dramatic exterior. In the museum’s grand vision, Pei gave the city its first taste of groundbreaking modern architecture, and in turn, launched his own reputation as a world-class cultural architect. He went on to design other iconic museums like the Rock and Roll Hall of Fame in Cleveland, Ohio, the Museum of Islamic Art in Doha, Qatar, the famous glass pyramid at the Louvre, as well as the National Gallery of Art East Wing in Washington, D.C. On the 50th anniversary of the Everson Museum’s completion, it’s hosting an exhibition on Pei’s design and the institution's history as a “monumental work of abstract sculpture and architecture.” Art Within Art: The Everson at 50, which opened in mid-October, showcases archival materials and never-before-seen plans, photographs, and models of the project. “For 50 years, our one-of-a-kind arts venue has stood as a work of art to house art,” said Elizabeth Dunbar, director and CEO of the museum. “We are excited to celebrate our facility’s milestone anniversary and bring 50 more years of meaningful encounters with art and architecture to all those that visit the museum.” The Everson is home to over 10,000 pieces of art and features one of the largest collections of international ceramics in the United States. It has hosted the first solo exhibitions of several international artists including Yoko Ono, Bill Viola, and Marilyn Minter. 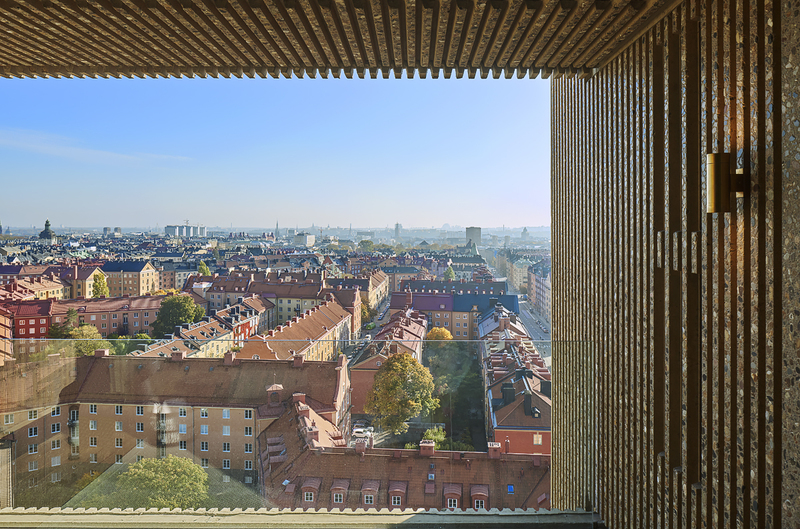 The first of two new OMA-designed Brutalist-inspired towers, known as Norra Tornen, has officially been opened in Stockholm, Sweden. The 125-meter-tall residential tower is the tallest in the city, and when joined by its partner will act as a major gateway into the city. Formally and materially, the project is defined by 5,000 prefabricated panels, which also act as the main framework for the building. The “sandwich” panels include all the wall systems, including the windows, insulation, and exterior facade. This system, which is manufactured in Sweden, means that construction can happen at a breakneck speed, with new floors rising by the week. The facade is composed of robotically bush-hammered multi-colored stone aggregate concrete panels. From a distance, the tan concrete form of the building makes the Brutalist reference very clear. Upon closer inspection, the striated articulation of the concrete is highlighted by large pink, yellow, red, and brown aggregate embodied along the panels' ribs. Thanks to the pixelated form of the building, the facade’s surface area is greatly increased. This provides space for more windows, to capture as much fleeting Nordic sunlight as possible, as well as numerous recessed terraces for the temperate summers. It is also on these terraces that the finely finished facade can best be experienced. This articulation of form and choice of material ended up being the major architectural moves of the project, as the overall shape of the building was inherited by developer Oscar Properties from an earlier design by a city architect. OMA partner and lead designer of Norra Tornen, Reinier de Graaf was on hand for the opening of the building saying, “With a limited articulation of a given form, without breaking any rules, we were able to produce something that was quite different, quite surprising.” He continued to discuss the link between the industrial processes of building the prefabricated tower and its form. “It’s about repetition. It's about repeating one detail, in and out, and reversing it every other floor. And from the one repetitive industrial detail we can produce something highly varied.” When the second tower is completed next year the two towers will in some ways bring Brutalist architecture full circle. The term “Nybrutalism,” was first used in Sweden by famed local architect Hans Asplund in the 1950s and made famous by Reyner Banham. With the recent popularity of Brutalism in academic circles and preservation efforts around the world, it was only a matter of time before a major contemporary project be completed in the much-maligned style. 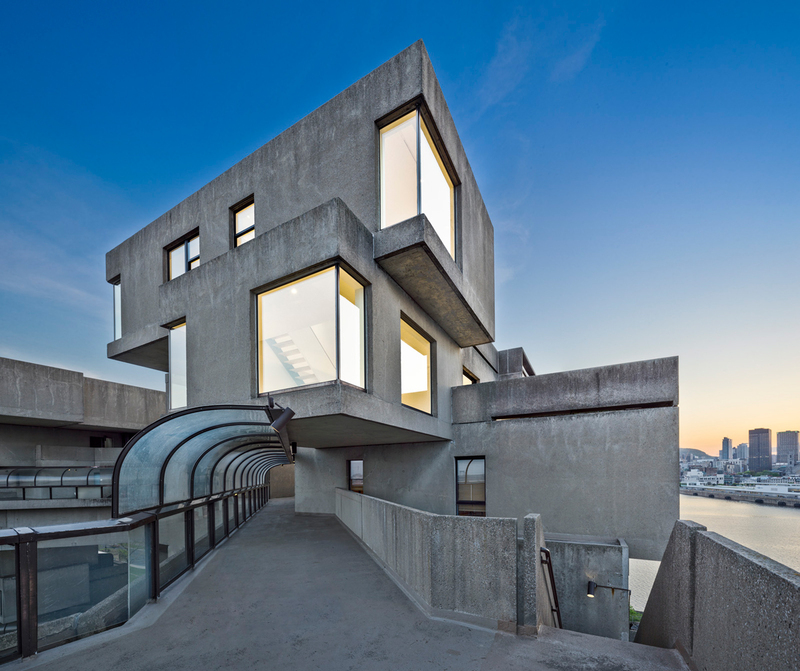 Safdie Architects has officially completed a two-year-long restoration of Moshe Safdie’s personal unit at Habitat 67, a landmark apartment complex designed by a young Safdie himself for Montreal. The project was done in conjunction with the 50th anniversary of the seminal structure. Safdie’s light-filled duplex unit is located on the 10th floor of the 238,500-square-foot brutalist building and overlooks the Saint Lawrence River and downtown Montreal. The careful restoration of the prefabricated piece of architecture has been a serious undertaking. Safdie Architects worked to bring the entire facility into the 21st century by upgrading its technical systems to modern sustainability and energy conservation standards. They also stripped the exterior concrete walls that showed severe signs of decades-long water damage in order to repair, insulate, and waterproof the envelope from the harsh Canadian winters. For the interior of Safdie’s apartment, the design team restored the space to its original 1960s condition. They repaired the wood parquet flooring, installed new windows, and restored the sliding patio doors that retract into the concrete walls. The wood-slatted terraces were revamped to include the clear polycarbonate railings found on the original structure. The bathrooms, outfitted with molded fiber glasses, were also rehabilitated, along with the fixtures and fittings. The kitchen was completely restored as well. Now in mint condition, the unit will be dedicated to the public realm as a resource for research and tours as Safdie Architects continues an ongoing restoration of the building’s envelope. 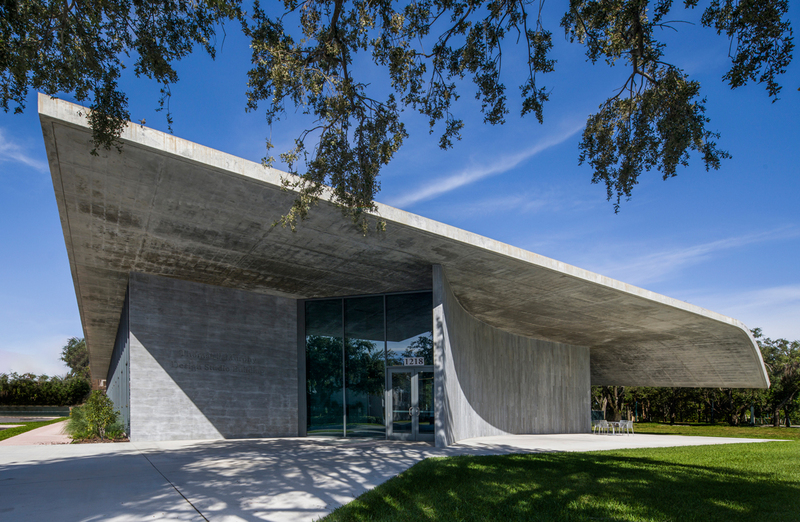 The University of Miami School of Architecture has added a concrete home for design research and collaboration to the institution’s Coral Gables campus. Designed by Arquitectonica, the 20,000-square-foot Thomas P. Murphy Design Studio features a new digital fabrication lab and ample collaborative space. It’s the first construction completed on the site in the past decade. The project broke ground in October 2015 and opened to students this fall semester. Located on the edge of the campus, the stark structure stands out among a swath of palm trees and nearby boxy buildings. Though it may look dramatic, its design centers on a simple geometry, according to Arquitectonica principal Raymond Fort. It’s a single, oversized shed featuring two main materials and a southern sloping edge that blocks harsh sunlight while aligning the building with Southern Florida’s modernist architectural style. “Even though the forms appear to be expressive, we wanted to keep it as simple as we could with the components of the architecture visible,” he said. “The 25-foot cantilever curves at the bottom to address the portico of the nearby Perez Architecture Center, designed by Leon Krier, which is the center of the architecture campus.” From the exterior, Arquitectonica’s dynamic design studio looks sleek and shaded. But inside, loads of daylight seep into the structure through glass window walls, and an exposed ceiling showcasing the building’s mechanical elements gives away its structure. The open plan studio is designed around a 25-foot square module that allows up to 120 students to rearrange workstations as they see fit. For private meetings, juried critiques, and seminars, students can utilize scattered cubes with glass walls or curtains running through the center of the nave-like space. Showing off the structure’s core through a transparent layout was a deliberate design decision—one that was lauded by both the students and the university administration. Previously, students were confined to cramped studio space within the old, Marion Manly–designed buildings, which were originally built to house returning veterans from World War II. Arquitectonica envisioned a modern and industrial open plan for the Thomas P. Murphy Design Studio to directly fix the spatial constraints architecture students faced within the old facilities. While each of the school’s buildings features one-of-a-kind designs, none brought together studio space under a single roof. “It complements the school’s constellation of buildings that constitute a campus-within-the-campus,” said Dean Rodolphe el-Khoury in a statement. “The vast studio space designed to enhance co-creation and the digital fabrication lab, among several other features, are welcome additions to our beloved historic and award-winning facilities.” Not only was the structure designed to elevate the students’ daily experience, it was built to serve as a teaching tool by showcasing the basics of modern design, construction, and sustainability. It can operate during the day without any artificial light thanks to the 18-foot-high hurricane resistant glass panels and remain cool at night due to the large envelope of thin concrete covering the interior. These materials ensure the project will remain durable for years to come. An official dedication ceremony for the Thomas P. Murphy Design Studio, named after the late father of Coastal Construction CEO and President Tom Murphy, Jr., will be held on November 29. A new building for the State of Mexico Boys and Girls Club (Club de Niños y Niñas del Estado de México) uses a brutalist style for a gentle purpose. The approximately 37,000 square foot building designed by Mexico City–based firm CCA | Centro de Colaboración Arquitectónica will be a home for the nonprofits philanthropic programming in Ecatepec, one of the poorest and most violent parts of Mexico City. The concrete complex is organized around a central colonnade made of 24 interlocking arches, one for every vertebra found in the human spine. A single-story educational building, two-story arts center, and sports hall extend off the main axis, along with assorted outdoor plazas seating areas. The buildings were dimensioned using a modular system derived from the scale of the plywood formwork. The building is scheduled to be finished in January 2019 and occupied soon thereafter, but the latest photos show the project without any people in all of its bare béton brut glory. 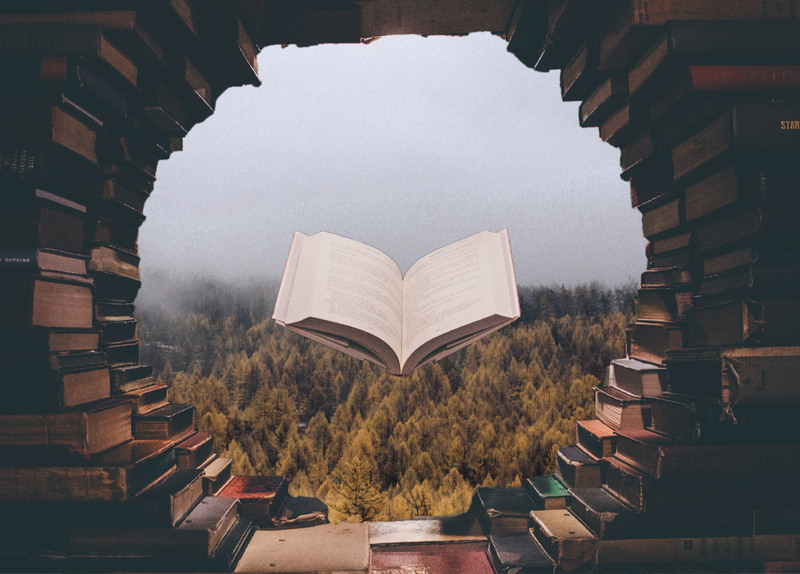 As the leaves change color, the nights lengthen, and the temperatures drop, a crop of new book releases are hitting the shelves with fall reading that's are guaranteed to keep readers warm for the winter. Want to learn more about Philip Johnson’s bombastic early life and work for Donald Trump? How about a deep dive into the history of modernism and a treatise on how it’s ruined society, or a look into stark, cold concrete buildings around the world (for when the weather gets unseasonably warm)? AN has compiled a list of the hottest new releases for autumn, so pour a glass of cider, light the fireplace, and dive in—or better yet, start your holiday shopping early. The Man in the Glass House: Philip Johnson, Architect of the Modern Century Mark Lamster Little, Brown and Company MSRP $35.00 Nine years in the making, Lamster’s deep dive into the life and career of Philip Johnson pays off in spades. Johnson is presented as a quintessential American architect and a walking mess of contradictions throughout the book; a populist born to an upper-class family who was a millionaire before the age of 25, a gay man who fervently supported the Nazis, and a patron of the arts who ultimately went on to help Donald Trump leave his signature across Manhattan. Lamster’s meticulously researched biography also entwines itself with the history of modern art and the life of the Museum of Modern Art, much as Johnson himself did. Atlas of Brutalist Architecture Phaidon Editors Phaidon Press MSRP $150.00 More than just the ultimate coffee table book, the Atlas of Brutalist Architecture claims to be a final compendium on built, and demolished, brutalist structures. At a whopping 10 by 14 inches, the atlas features 878 buildings from 798 architects across 102 countries, reproduced in high-contrast black and white photos. The oversize collection puts each building’s distinctive shape front and center and creates a study of form across the entire Brutalist movement. Cocktails and Conversations: Dialogues in Architectural Design AIA New York $25 in-person pickup, $30 shipped For the last six years, the New York chapter of the American Institute of Architects (AIA) has been hosting a Cocktails and Conversations series, treating guests like Tod Williams and Billie Tsien, Signe Nielsen, and Daniel Libeskind to custom-crafted cocktails and engaging them in conversation about the state of architecture. In Cocktails and Conversations (the book version), AIA New York has reproduced all of their dialogues since 2012 and included the accompanying cocktail recipes. Ever want to drink like Morris Adjmi or Charles Renfro? Now you can. And keep an eye out for moderating appearances from AN’s William Menking and Matt Shaw. Exhibit A: Exhibitions That Transformed Architecture, 1948-2000 Eeva-Liisa Pelkonen Phaidon Press MSRP $79.95 In today’s world of constant architectural biennales, biennials, showcases, retrospectives, and pop-up shows, it’s fair to say that exhibition architecture is a language all of its own. In Exhibit A, Pelkonen charts a decade-by-decade breakdown of the 80 most important shows from 1948 to 2000 in a lavishly illustrated compendium. The book’s scope is worldwide, tracking the evolution of exhibition architecture as well as how that language eventually bled back into the architectural mainstream. Syria Before the Deluge Peter Aaron Blurb $149.00 Architectural photographer Peter Aaron is no stranger to capturing the essence of a building, a task he took up whole-heartedly during a 2009 tour through Palmyra, Aleppo, Damascus, and other important archeological sites throughout Syria. Unfortunately, as Aaron notes, those places are all notable today for having been totally destroyed, with most of their ancient treasures lost, looted, or inaccessible. Using an infrared camera, Aaron shot ancient ruins and modern Syrian cityscapes in vivid black-and-white, capturing both a long-gone world and contemporary life in a place that would soon after be changed forever. Michael Webb: Two Journeys Edited by Ashley Simone Lars Müller Publishers MSRP $45.00 As Peter Cook noted in his review of Two Journeys, Michael Webb’s life, much like the book itself, is rich in anecdote and nuance. The biography celebrates Webb’s life as a polymath who dabbled in art, drawing, and design in equal measure, painting the founding Archigram member as more of an eclectic inventor than architect. Two Journeys is an exercise in showing, not telling, using Webb’s work and particularities to paint a fuller picture of the man himself. Much like the gathering held to celebrate the launch of the book itself, Two Journeys is full of fond memories about Webb from his contemporaries and friends. Archigram - The Book Warren Chalk, Peter Cook, David Greene, Reyne Banham, Michael Sorkin, Michael Webb Circa Press November 14, 2018 MSRP $135.00 Functional meets fun in this comprehensive retrospective of London’s most famous avant-garde design collective. Archigram’s theoretical work paved the way for some of the most influential works of the late-twentieth century, including the Centre Pompidou, and the group was ultimately recognized for their contributions with a RIBA Gold Medal in 2002. Archigram, designed by member Dennis Crompton and featuring essays from all of the collective’s members, is as psychedelic and forward-thinking as the work contained inside. The large-format monograph is a celebration of the collective’s 14 years together and includes well-known projects such as the Living City as well as lesser-known projects and concepts. With the advantage of time and foresight, the collection puts Archigram’s ‘60s and ‘70s work in an entirely new context. Love it or hate it, Brutalism is definitely back. For proof, look no further than Los Angeles, where local architect Marcello Pozzi is working on designs for an upscale “brutalist” courtyard apartment building that is wrapped in rough concrete finishes. Urbanize.LA reported that the project, a five-story, 10-unit complex located at 8615 West Knoll Drive, was recently submitted to the City of West Hollywood Design Review Subcommittee for approval. The development includes a mix of one- and two-bedroom units, including a pair of double-height ground floor apartments that each contain a mezzanine bedroom level. Although brut in its outer finishes, the complex will be nothing like your grandparents’ Brutalist housing schemes. Instead of dank, cold apartments, the complex is designed to embrace the Southern California sunshine and features warm wood finishes and lots of glass. Generous 11-foot floor-to-floor heights throughout the building will complement thin floor plates and pass-through apartment layouts to provide well-lit and open living spaces, according to a project statement. The development will also be marked by wide but shallow balconies along its principal facade. These exaggerated Juliet-style balconies aim to enhance the indoor-outdoor qualities of the main living spaces for each unit. 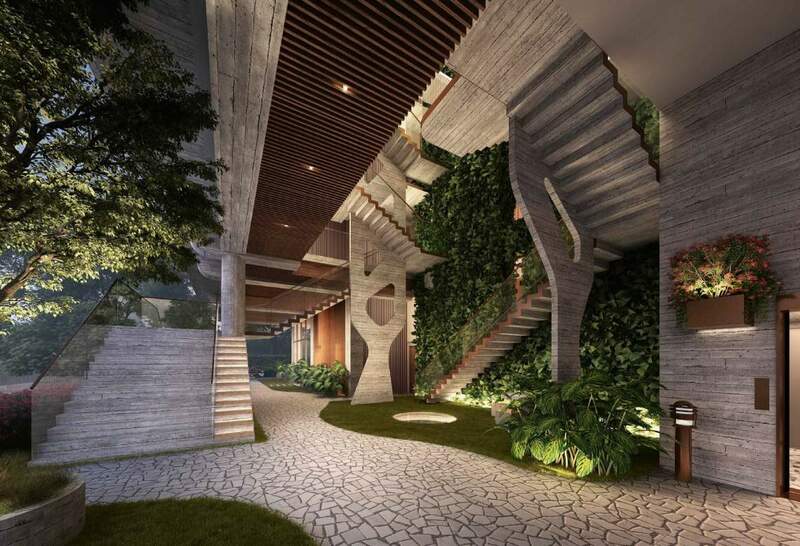 A 17-foot-tall passageway along the ground floor will link to a 19-foot-by-31-foot planted courtyard designed by landscape architects Viriditas Design, as well. Architect Gwynne Pugh, who sits on the review subcommittee, issued a report for the building’s design, highlighting the “brutalist” elements and the development’s thoughtful site and apartment design. In the report, Pugh writes, “This has been put together very thoughtfully and elegantly. The simple forms [act] as a backdrop to the visceral experience of the environment.” Pugh also praised the ground floor landscaping for its “park-like” qualities while also highlighting that the design represents a “highly sophisticated project that has been thought through thoroughly.” Pugh added, “It is a relatively quiet building in its visual aspect but highly detailed in its simplicity. This is an appropriate project to be considered as exemplary.” A timeline for the development has not been revealed. Design and planning reviews for the project are currently pending.